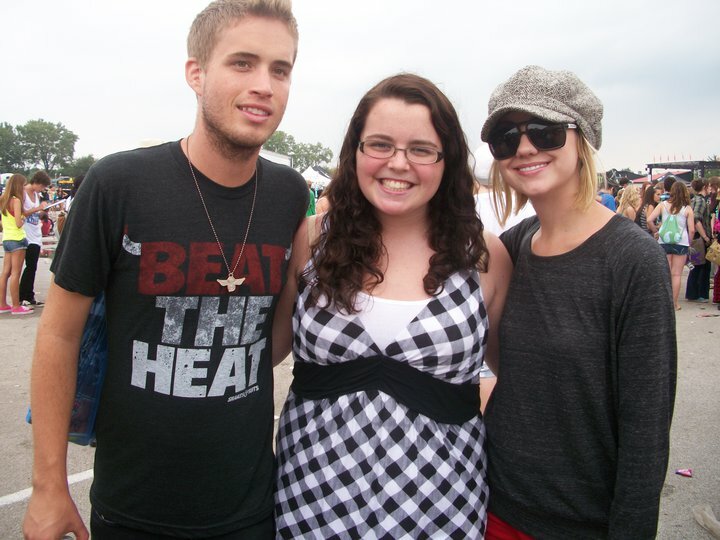 I was walking around Warped Tour and saw Brian Dales, the lead singer of The Summer Set. Being a HUGE fan of The Summer Set, I talked with him and my friends and I asked for a picture. Then I realized CHELSEA STAUB was standing next to him! I knew they used to date, the reason for their song 'Chelsea', but they broke up soon after that. I guess they're back together! They're adorable. And she's so nice and absolutely GORGEOUS. I kept running into them throughout the day and she told me that we are best friends. One of my favorite people ever. I got a few pictures with Chelsea and Brian and then I asked for a picture with both of them. After they were done taking pictures with everyone, they walked away to see a band play and he had his around around her.